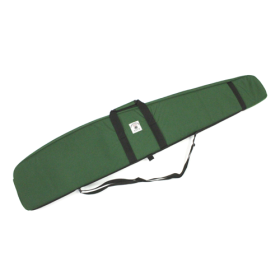 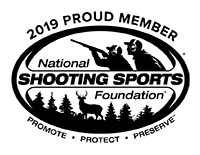 52 Inch Forest Green Standard Rifle Case, Creedmoor Rifle Cases: Creedmoor Sports Inc.
Made out of tough Cordura nylon and lined with nylon pack cloth. 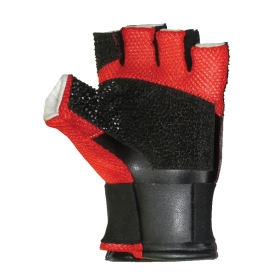 Both materials are urethane coated for water proofing. 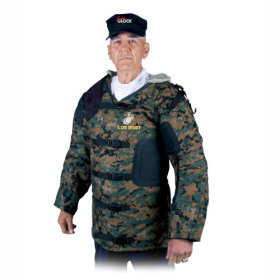 Ample 5/8" closed cell foam padding is provided for rifle protection. 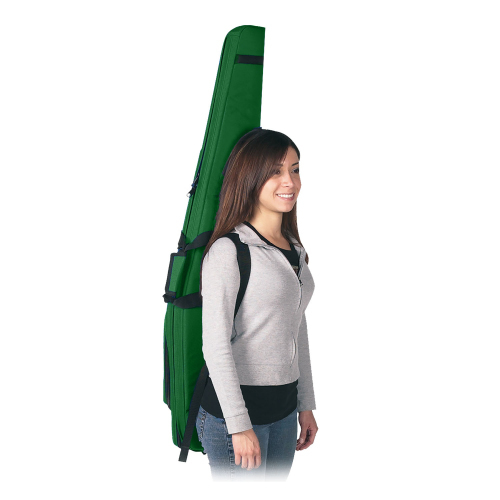 Carrying handles and a shoulder sling offer two methods of carrying the case. 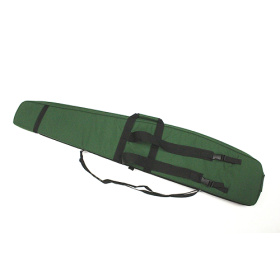 A full length YKK self-healing coil zipper gives easy access to storing and removing rifle from case. Dimensions: At widest point, 10" and on smaller end 7".